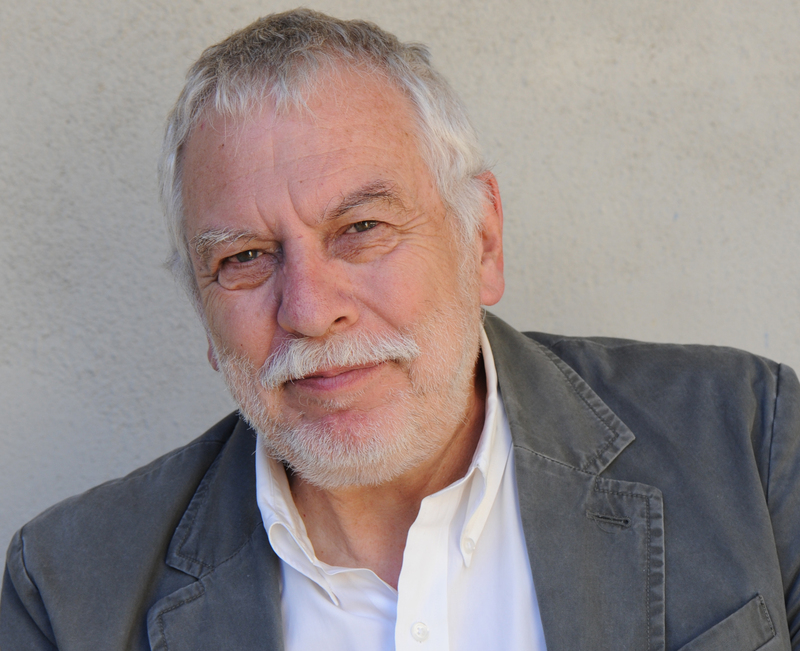 Nolan Bushnell is considered by many to be the founder of the modern video game industry. The man behind Atari and Pong, who ushered in both the arcade age and the home console age with Atari 2600, is in Austin for GDC Online. Bushnell’s latest ventures include the gaming bar uWink and Anti-Aging Games. He talks about the future of gaming in this exclusive interview. What are your thoughts on how far gaming has come since Pong? In the early days of games, games were actually more pervasive than they are now. If you ask the typical person whether they played a game in the last month in 1979; the numbers would have been greater than they are today. That’s because it seemed like every businessman would spend a few quarters on a game in a bar or in an arcade. Women were playing games. Then in the ‘80s the game business really shrunk because games got violent. That lost the women. Games got very complex and that lost the casual gamer. It wasn’t until just recently where there were whole levels of gameplay available, whether it be on the iPhone, iPad or casual gaming through the browser, that a lot of those latent game players got back into the business. Where do you see the next growth opportunity in games? The next big wave that’s going to happen is what I’d call browser in the television. There will be a lot of games that casual people who don’t have an Xbox, PS3 or a Wii will be playing on their TV set. And the combination of gesture, which is going to be the control system in the future, and streaming technology through HTML5 onto the TV set in the living room, will be a whole new area that will probably slowly dominate an awful lot of the future of gaming. What are your thoughts on the emergence of social casual games? I’m not sure social games are a category. I consider them to be simple games. There’s always been a market for simple games. How they’re marketed and on what platform is almost irrelevant. There will be a lot of ways, particularly in the cell phone world, where you have viral communities. These viral communities can be all the people that are in Times Square right now. Over the next couple of years when you go to a conference you’ll be playing games with everybody that’s there. And when you’re playing games, then you can also share information and various things. So I’m not sure that your social network is going to be all that necessary. How do you think these new tablets and smartphones will change the dynamic of gaming moving forward? The new tablets and various technologies just represent a piece of hardware that now becomes part of the gaming landscape. Gaming is everywhere today and more than that, most of the games are geo-aware, accelerometer-equipped and they have a camera. All these things are just great devices to mess with. It allows you to just put on an extra level of creativity into games and that’s always fun. Can you talk about what you’re working on these days in gaming? It turns out that education is really an interesting and troubled space. It’s troubled because the classroom is broken. Kids learn at different speeds. Kids don’t have the patience today because they are used to immediate gratification through games and television, so a teacher droning on in front of them for 45 minutes doesn’t work. Kids are tuning out, doing other things, and multitasking. I believe that games represent an ability to let all kids move at their own speed. Certain kids basically think better when they’re moving. You can have them playing Dance Dance Revolution or treadmill bikes and they can be learning and moving at the same time. Exercise is so important to education right now. You should exercise at the beginning of every day and some kids need to exercise continuously throughout the day. Just raise their heart rate 20 beats a minute and all of a sudden you’ll find a kind who is doing mediocre in school becoming a straight A student. Metabolism is also highly important. Certain kids respond to certain times of the day strictly on protein while others need carbohydrates and the school isn’t even speaking in this language today. How are you addressing this? Through Speed to Learn and Wordplay.com. We’re teaching Spanish in this website three times faster than Rosetta Stone, maybe six times faster. We’re going to actually have the research done by a third party to find out if anecdotally, but we win every time by a lot. Can you talk about your Anti-Aging Games? It turns out that as we age, our brains work slightly differently and we can do certain things that get us back to our cognitive power of our 30s. It’s actually not that hard, you just have to do it. When you get into your 70s and 80s, it’s much easier to lose your car in a parking lot than it is when you’re in your 30s. Why? Well, it’s because your brains are processing information slightly differently. We believe that just by doing some of these little exercises we can make your quality of life significantly better. Although this isn’t proven, we believe we can delay the onset of Alzheimer’s and dementia. We can definitely increase your quality of life. Do you find new motion controls through Wii, Kinect and PlayStation Move help with these endeavors? Absolutely. It turns out that there’s this link between mind and body that is really important. Some kids are absolutely physical learners, which means if you can get them to gesture and move and do things they learn and remember so much better than if they’re just sitting. It turns out that if you exercise for 15 minutes before you take a test, your outcome on that test is five to 15 percent higher. You get your brain stimulated and going, so rather than doing that extra 15 minutes of cramming, get up and move your body. What are your thoughts on 3D gaming that we’re seeing with Nintendo 3DS and PlayStation 3? Any time you can get closer to real life illusion, the better off you are. I like the idea of more realism and 3D clearly is an important part of that. What advice would you give to an aspiring game developer today? I think that there are so many places to pick and get really good at that. Get a good team around you. Don’t depend on yourself alone as the idea font. I think that the cell phone market for games is terrific with massive numbers of people in it. I’m always looking where there aren’t any people. If I were going to get firmly back into the game space I would get into public space. I think that there is a new arcade, if you would.